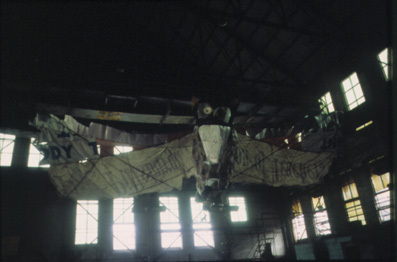 A 22' x 60' winged sculpture, built on-site at the Carrie Furnace in Rankin, Pennsylvania, April - December 1994. 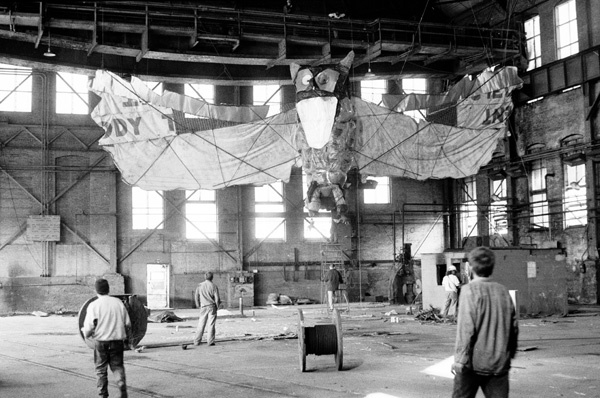 Utilizing materials that were found on the industrial location, the piece was created over a five-week period. The project involved ten to twelve artists making Sunday field trips to the abandoned mill. The sculpture remained until it met an unpredictable fate. Having developed a local mystique, including reports of satanic rituals, action was taken by the authorities to eliminate The Owl.